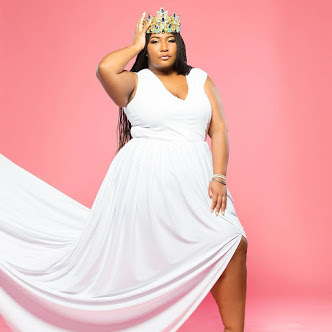 I am so excited to be bringing you all a new Fashion Friday post brought to you by Addition Elle!!! 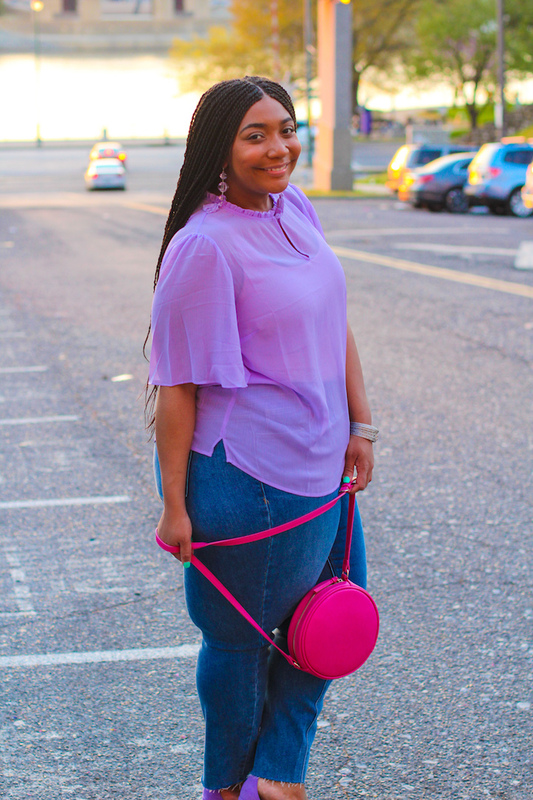 This week is all about lavender. I am crazy about this outfit because this is so me and I am totally wearing this outfit soon. I also did not have to think too hard about this outfit. 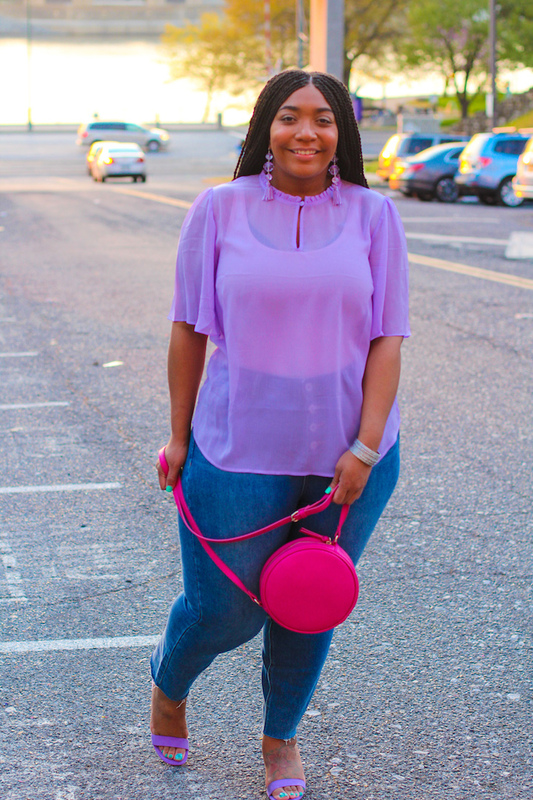 I was so excited finding this lavender top. 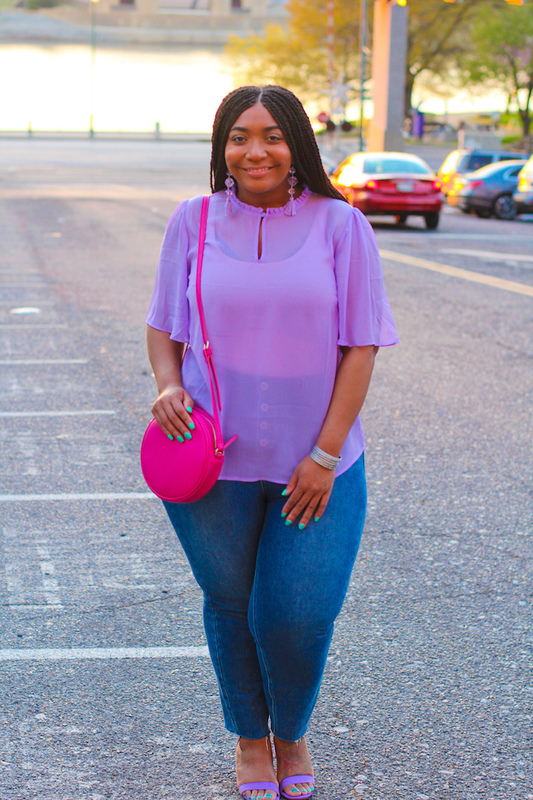 Lavender is definitely a color I want to wear more of this Spring. I think I was more excited knowing all of my accessories were at the house. Let’s get into these jeans! I am crazy about them and they are high waist! 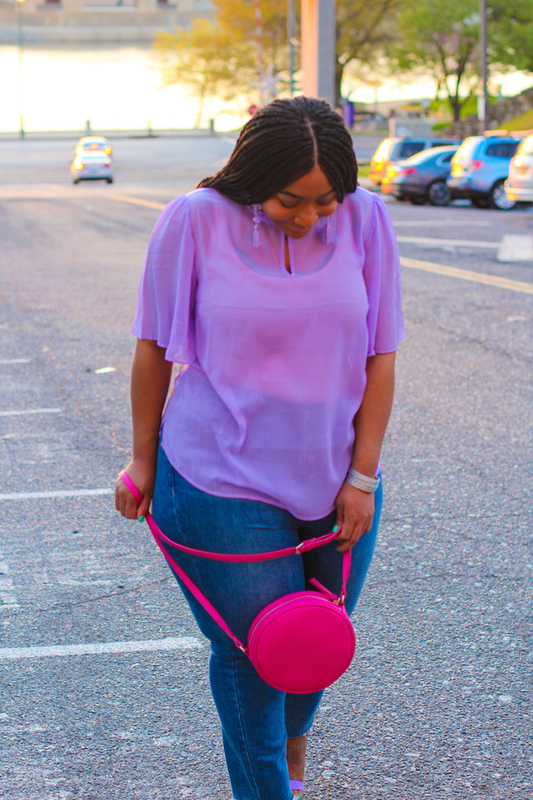 I found these lavender earrings (similar) last August and they are still a big hit! 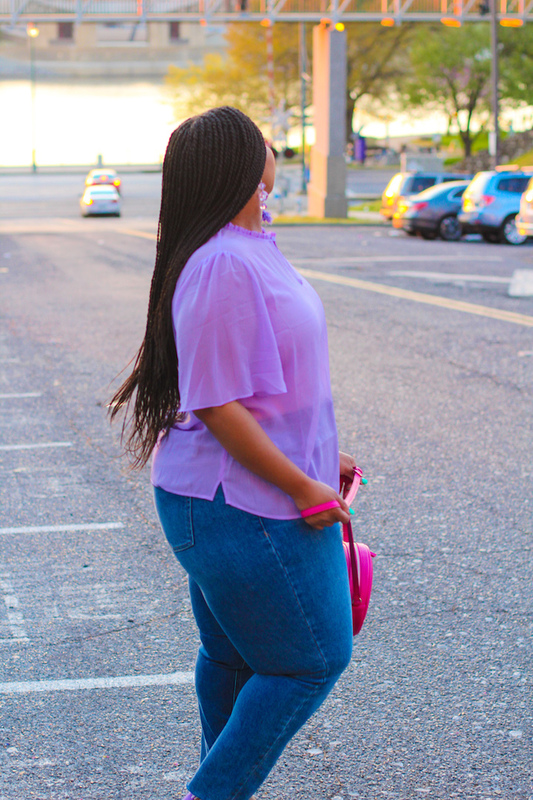 My lavender block heels are still one of favs. 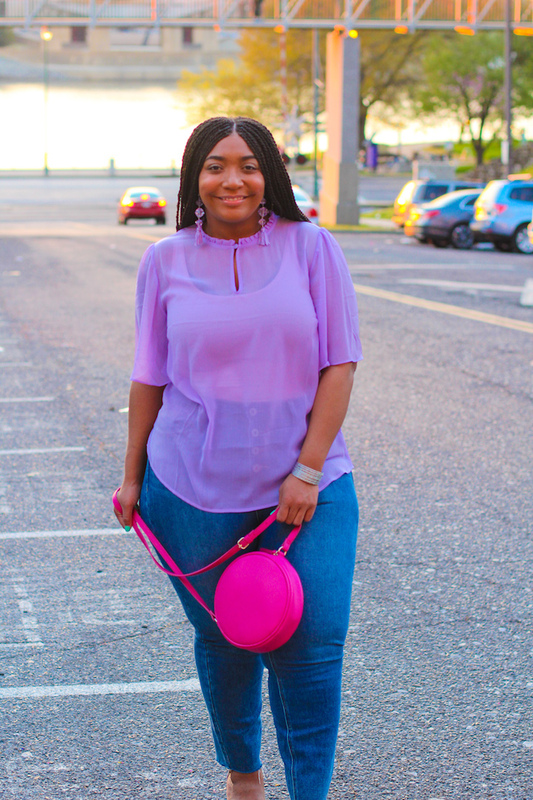 Style Notes: My lavender top is true to size in a 14. My jeans are also true to size in an 18. 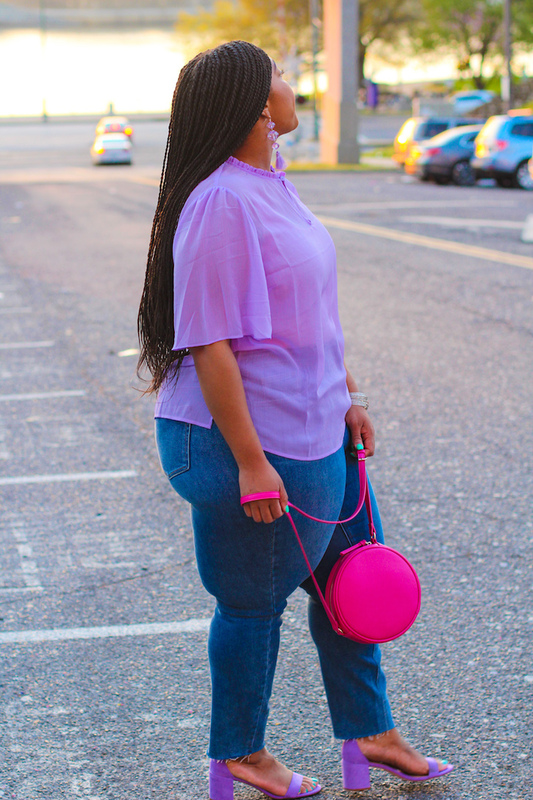 My lavender block heels are a size 10.